We’re excited to announce our 16-week Get PhinisheDTM Dissertation Group Coaching Program in partnership with the Academic Ladder® Inc. and its Academic Writing Club, the nation’s leading accountability-based coaching system designed to increase academic writing productivity for graduate students and faculty. Did you just begin a doctoral program and want to create habits of success from day one? Do you feel overwhelmed and confused about what to do next? Are you ahead of the curve, wanting to get PhinisheD in record time? When it’s time to write, do you procrastinate? 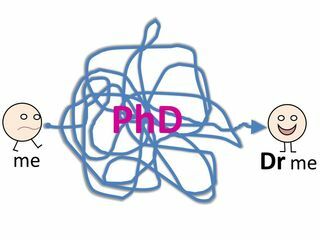 Are you confused about how will manage everything and complete your Ph.D.? Did you finish data collection and are unsure about what to do next? Are you isolated from other doctoral students? Does the feedback and guidance from your committee members fall short? Is any part of conducting research for or writing your dissertation taking forever? If you answered yes to one or more of these questions, then the Get PhinisheDTM Program is for you! To participate, you should be enrolled in a doctoral program where you have to write a dissertation in order to receive your terminal degree (e.g., EdD, LPD/DLP, PhD). 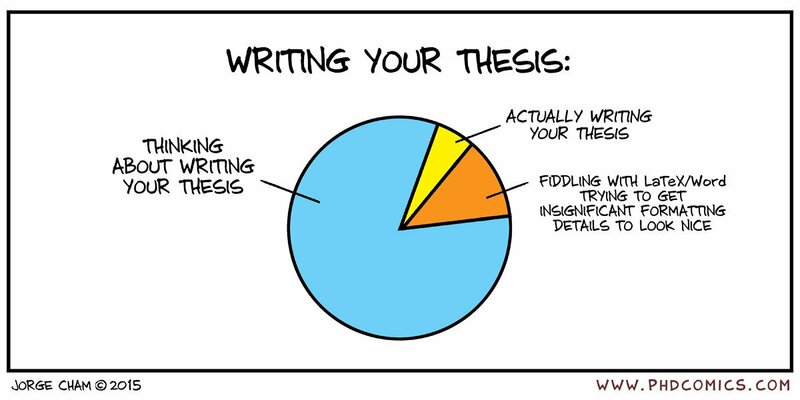 Provide expertise in the dissertation/academic writing process. Since 2016, Dr. LaNysha Adams has coached 10 scholars one-on-one to successfully complete their doctoral programs. Dr. Adams has served on two dissertation committees and she is also a reviewer for three nationally recognized peer-reviewed journals. JOIN NOW to take advantage of this exclusive offer while there are still spots left! What is the price of the 16-week Get PhinisheD Group Dissertation Coaching Program? For less than $14 a day, you’d get 24/7 access to an online community of scholars guided by an award-winning dissertation coach for 16 weeks! If you pay upfront, you save $200 and the price for the 16-week program is only $1300. If you choose to pursue a 4-part payment plan, there is a $400 deposit and then 3 additional installments of $366.67. We are more than happy to create a customized plan for you based on your individual needs. Here’s a breakdown of the program costs, not including tax. Can a university department buy the 16-week Get PhinisheDTM Program for me? Yes! We encourage you to have your university pay for services with us directly as it will save money. Additionally, sales made to universities (if structured as nonprofits) are exempt from the 6% sales tax. Can I register after the start date (August 13 or September 10)? Yes! You can join a group anytime until it is capped at 15 participants. The downside to joining later is that you miss out on all the awesome benefits of the Get PhinisheDTM Program. Yes! If you get 25 people to subscribe to our mailing list and tell us who they are, you will receive a 10% discount. That’s $100 off an already great deal! 25 people might sound like a lot, but getting to 25 is easy when they can join by: 1) texting EDLING or edling to 444999, 2) clicking the subscribe button on the home page, or 3) downloading the Master Your Time Tracker. We give universities a much cheaper per student rate for bulk ordering and wanting to ensure their students get PhinisheD in record time. If interested, please contact Dr. LaNysha Adams for more information. Yes! In no way are we accountants; however, previous clients have been able to successfully deduct their expenses for the services we provide. The rules for deducting expenses are always subject to change, so it’s best to check out the IRS Information Center for the latest information. Who is my dissertation coach? What does my coach do? Provide expertise in the dissertation/academic writing process. Since 2016, she’s coached 10 scholars one-on-one to successfully complete their doctoral programs. Dr. Adams has served on two dissertation committees and she is also a reviewer for three nationally recognized peer-reviewed journals. How large is the group in the 16-week Get PhinisheDTM Program? Each group is capped at 15 dissertators. What if I need more one-on-one coaching? Dr. LaNysha Adams is available for one-on-one coaching and offers sizable discounts to those who are already enrolled in the Get PhinisheDTM Program. LaNysha Adams, Ph.D., an award-winning education consultant with professional expertise in applied linguistics/TESOL, coaching, and research methodology, owns and operates Edlinguist Solutions LLC. After teaching and conducting education policy research over the last 14 years, Dr. LaNysha Adams was inspired to create a company that promotes educational freedom as a way for students at every educational level to feel empowered for achieving success as they journey through life. Dr. Adams is currently completing the master-level coach certification with an International Coaching Federation-certified program and she holds a certificate in 360-degree Feedback Assessments from the Center for Creative Leadership, a Ph.D. in Language, Literacy, and Sociocultural Studies from the University of New Mexico, an M.A. in Teaching English to Speakers of Other Languages/Applied Linguistics from Teachers College, Columbia University, and a B.A. in Linguistics & Rhetoric from Cal State San Marcos. An avid traveler, Dr. Adams has only 8 states left to get to 50! Connect with her on LinkedIn or Twitter. More posts by LaNysha Adams, Ph.D.
What is Teaching for Me? Possibility. Next PostWhat is Teaching for Me? Possibility.